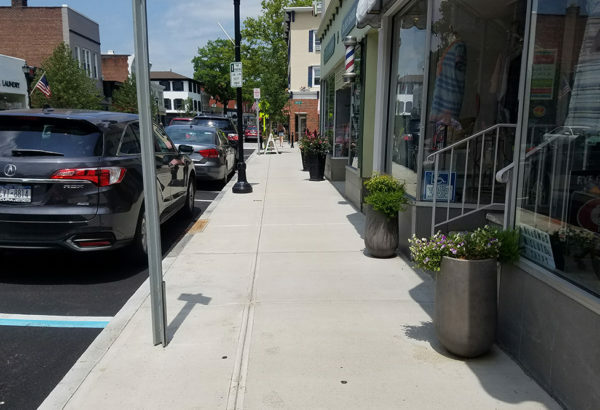 The district is defined mainly by Purchase Street which contains a mix of restaurants and retail stores. 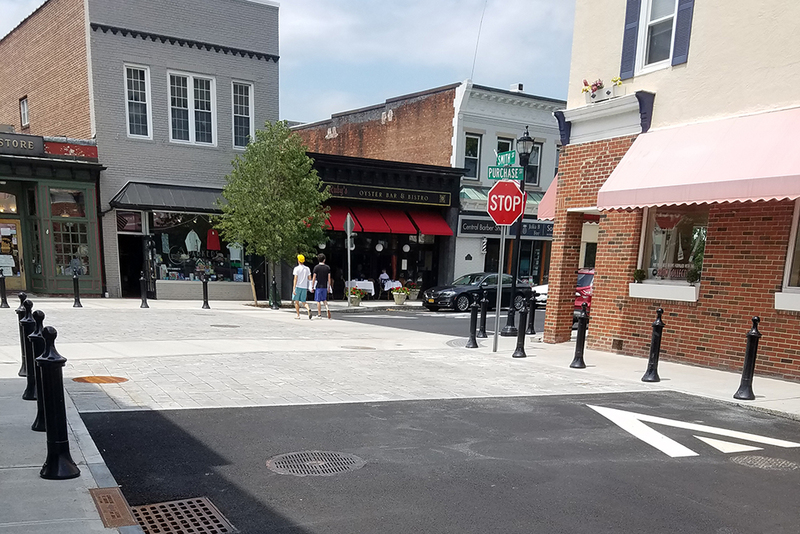 The City recognized a need to upgrade the infrastructure and streetscape to provide a pedestrian friendly downtown environment. 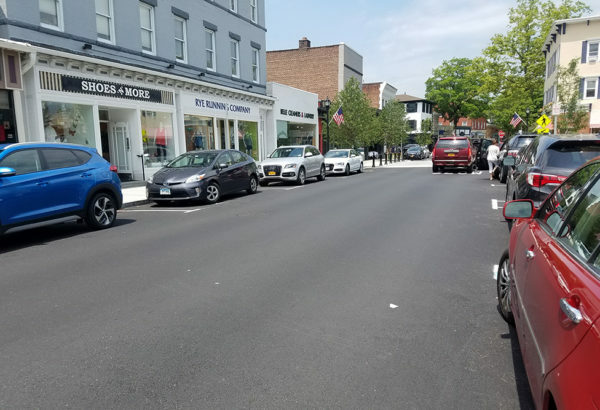 JMC is proud to have worked with the City to prepare construction documents, specifications, and construction observation services to achieve that goal. 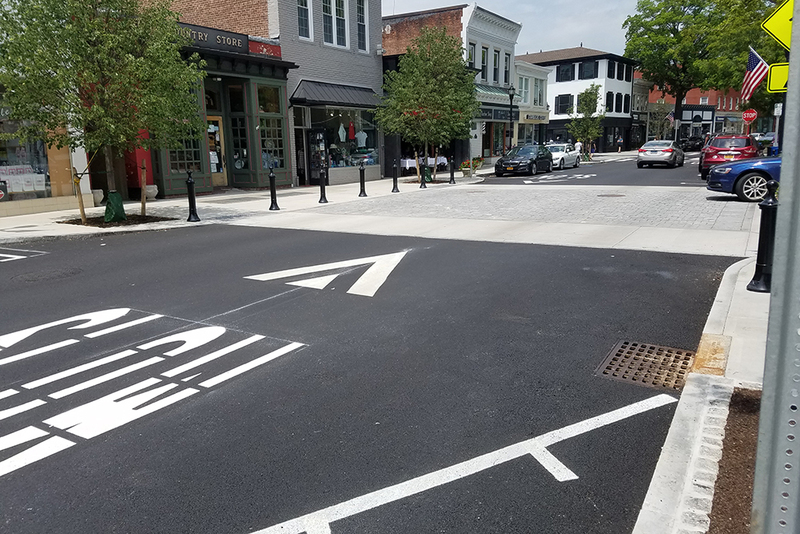 The project involved construction along Purchase Street (from Locust Avenue to Elm Place), Smith Street, as well as a portion of Elm Place. 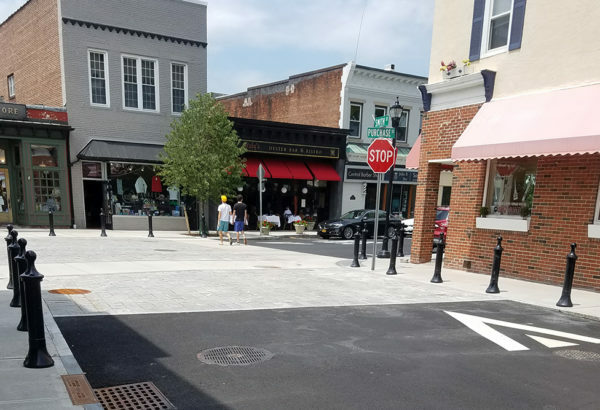 The streetscape improvements were completed in July 2017. 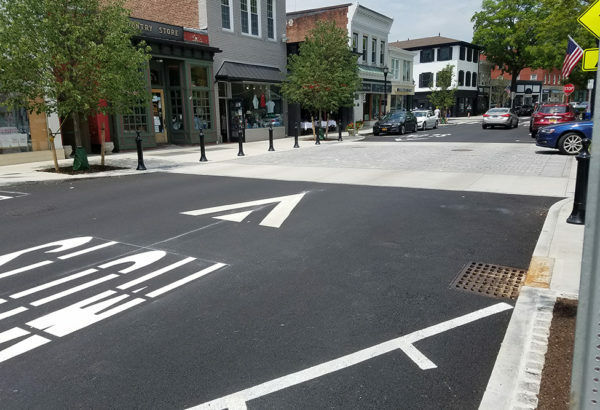 The streetscape improvements incorporated traffic calming measures such as curb extensions (bump-outs) to reduce pedestrian street crossing distances and a raised intersection with Belgian block pavers. 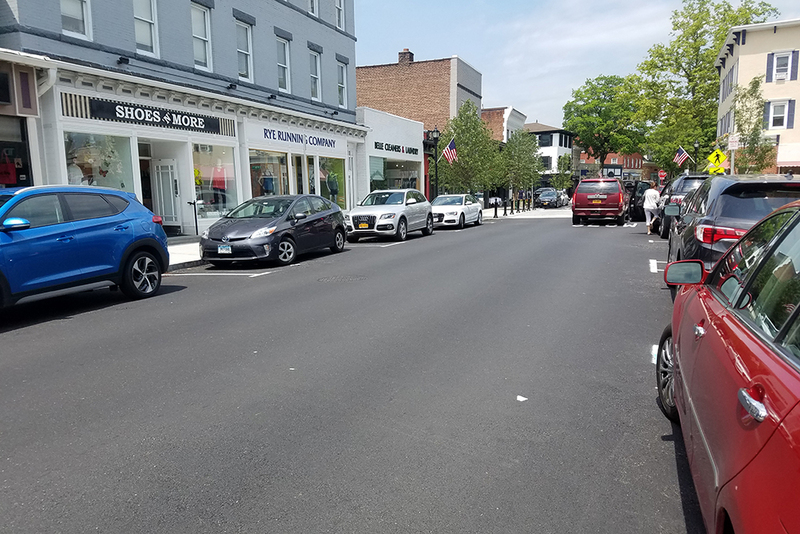 Additionally, the improvements included utility relocations, granite curbs, concrete sidewalks and curb ramps, drainage improvements, street lighting, landscaping, and asphalt pavement.